If you are in need of fillings, you might want to speak with your dentist in Woodridge about the possibility of getting tooth colored fillings rather than the traditional metal amalgam fillings. They have some nice benefits, and they might be a good option for your needs. However, they will not work for all purposes, so you will want to speak with your dentist in Woodridge about the possibility of using them. The composite fillings are tooth colored fillings, and these naturally have a nice advantage when compared with other options. The biggest benefit is the fact that they look like your natural teeth, which means no one will know that you have a filling unless you tell them. This makes them an aesthetically pleasing solution for you to consider, and they can work for a wide variety of dental issues, as you will see. When you take proper care of the tooth colored fillings, you will find that they have the potential to last for a very long time. Years in the future, they might require replacement, as is the case with many different types of restorative dentistry. You can talk with your Woodridge dentist about proper care and how long they can last. These tooth colored fillings can help patients who have a number of different dental issues including the following. 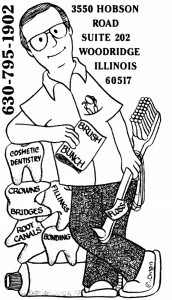 Contact Our Dentist in Woodridge for Composite Fillings Today! If you are in need of tooth colored fillings, get in touch with our dentists in Woodridge today. You can contact us by visiting our site’s contact page, or by calling us at 630-795-1902. Talk with us about the composite fillings to see whether they will work for your dental issues.